Hey, guys! The temperatures maybe climbing, but after E3 2017 it seems some people’s hype gauges just flat lined. Now that the shows over I’ve been hearing mixed feelings about the whole thing. Granted I didn’t think it was all bad as some of my cohorts did but hey a depleted hype gauge is no laughing matter for a gamer. It’s a terrible condition really symptoms include excessive ranting, bringing on old titles for the sheer purpose of nostalgia, and hesitation to buy upcoming titles. Thankfully there was one title this year the kicked my hype gauge into overdrive! Now Dissidia 3, I’ve known about and I’ve adjusted to getting trolled with Kingdom Hearts 3. So what game is it that’s got me through the moon you ask? 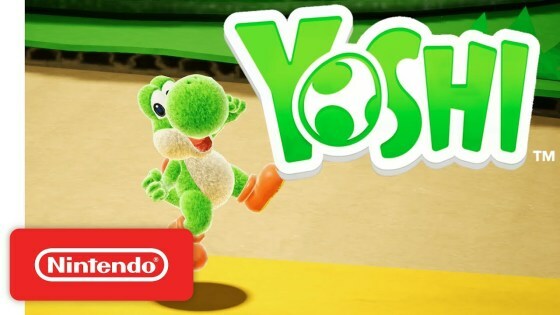 Yoshi for the Switch of course!